At least 65 people were killed in a Taliban-claimed attack on an Afghan intelligence base, security sources said on Tuesday, raising the toll substantially from 12 announced previously. Militants detonated a vehicle packed with explosives at the training facility before gunmen arrived in a car and opened fire. 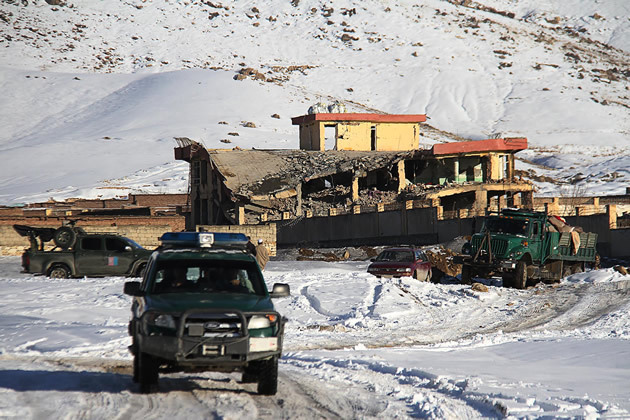 “We took about 65 bodies out of the rubble yesterday,” Mohammad Sardar Bakhyari, deputy head of the provincial council in Wardak province, where the attack occurred on Monday in the latest blow to beleaguered security forces.